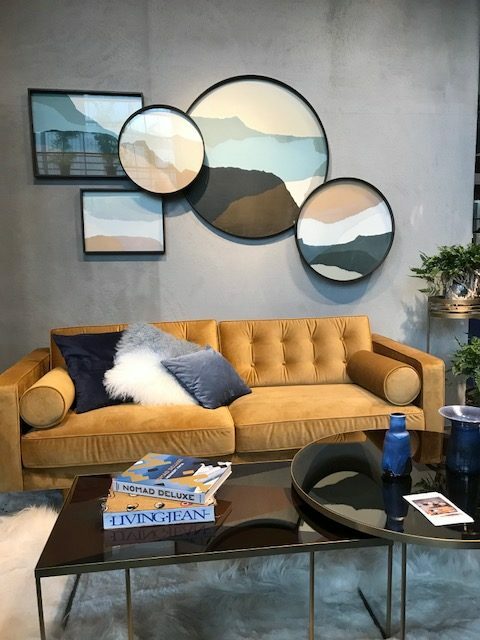 Trends are always on every design lover’s mind: what’s in, what’s out, and what’s new. 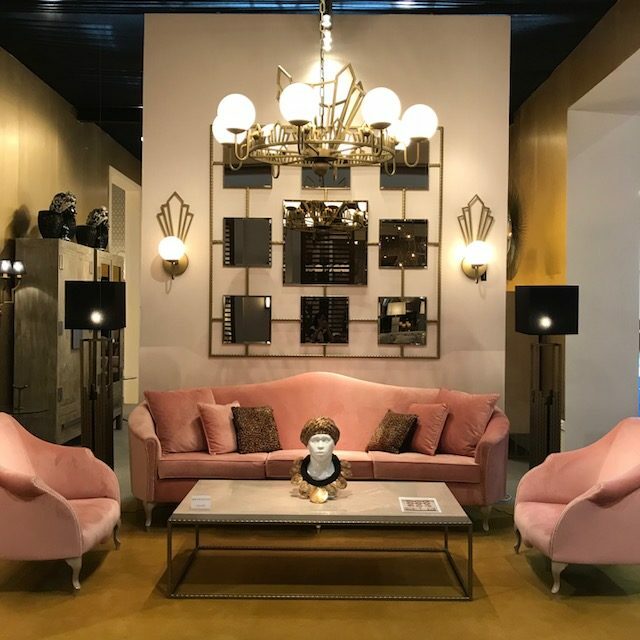 Each fall, the entire design world – from magazine editors to retailers (online, in store, and catalog) to designers of every manner of home product, furnishings, and more – looks to the Paris Maison & Objet show to see what trends will be making waves in the years to come. 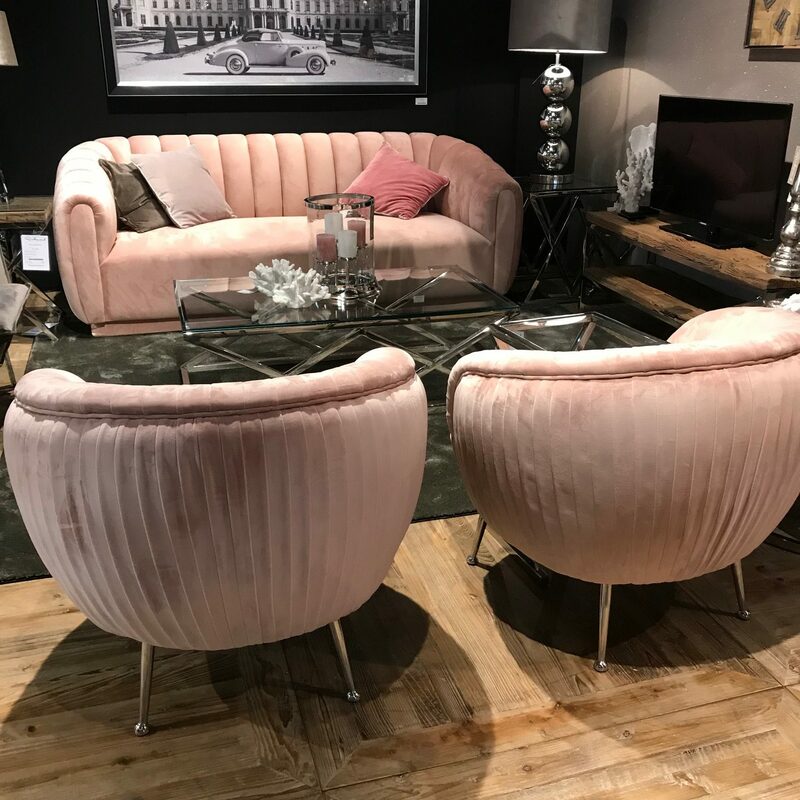 Here for your reading pleasure is my trend forecasting report from this year’s ever gorgeous and ever head-turning Maison & Objet show. Colors: Goldenrod Yellow and Olive Green are the newest kids in town. While Grey remains on the scene, it was not nearly as popular as Cream and White. 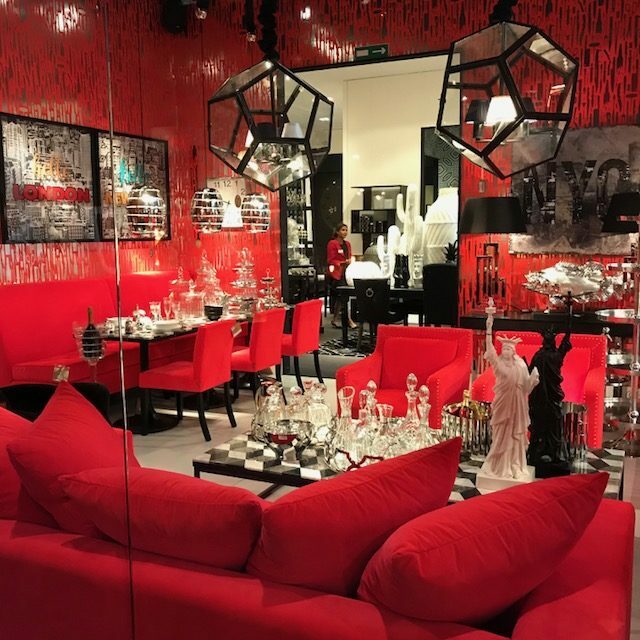 Black also had a strong presence – not only in metal and hard finishes but in fabric as well. Blush Pink continues to show strongly with some Salmon and Burgundy hues appearing as well. There was very little Red or Orange seen throughout the entire show. Turquoise continued to shine but mostly in paler iterations. Navy continued as an accent and looked marvelous when paired with the Goldenrods, Creams, and Whites shown. Greens in general were dusty – from Olive to Emerald. We saw very little animal print and when it did show up it was in Black and White. 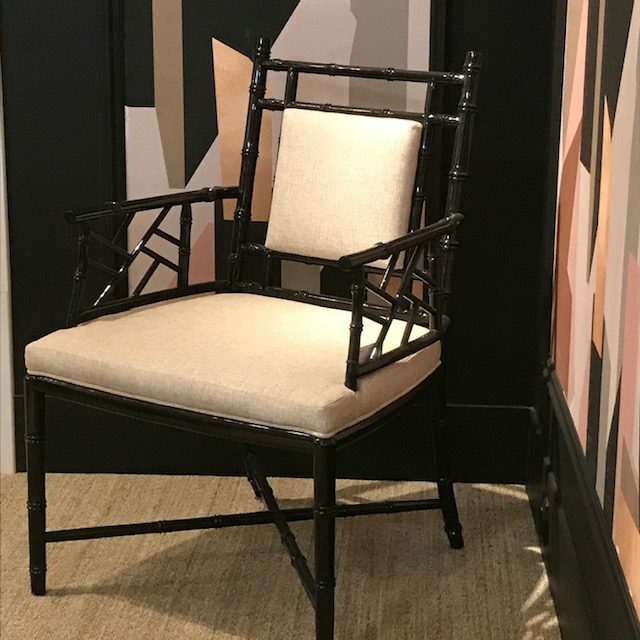 In general, there was almost no print on upholstery, a trend we see continuing. Velvets, from crushed to tightly cropped continue to have a strong moment. Linens remained in play. Faux furs remained. When is leather ever out of style? 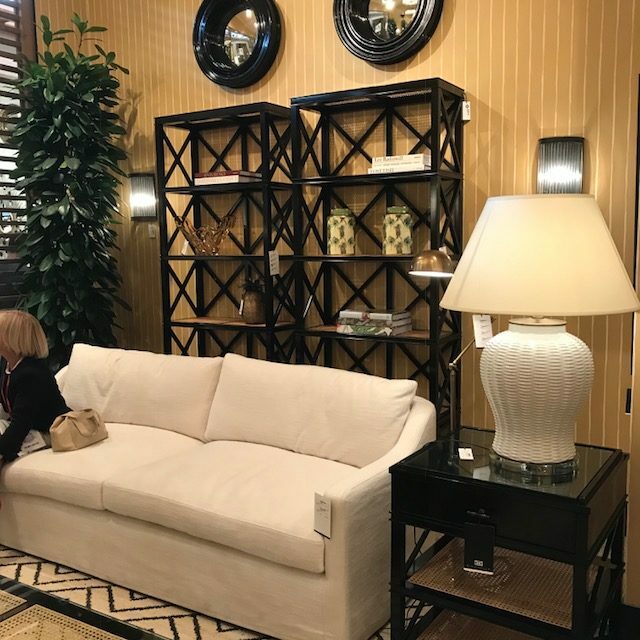 Woods: We saw everything from Grey limed woods to high-gloss lacquer and everything in between. This year, limed wood acted more as an accent rather than the main story. When liming did show up, it was a bit deeper in color than in past years. Mid and deeper tones were the more common choice. 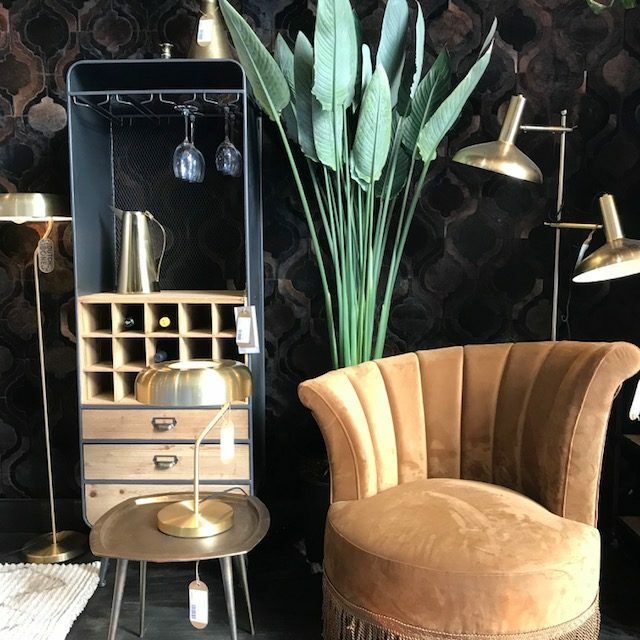 Metals: Warm Gold remains strong in both brushed and high shine finishes. Black metal has begun to have more of a presence, especially on étagères and furniture legs. The small amount of Silver seen was shiner than in past years. Metal bases and legs were everywhere, paired not just with upholstered pieces, but with tables as well. 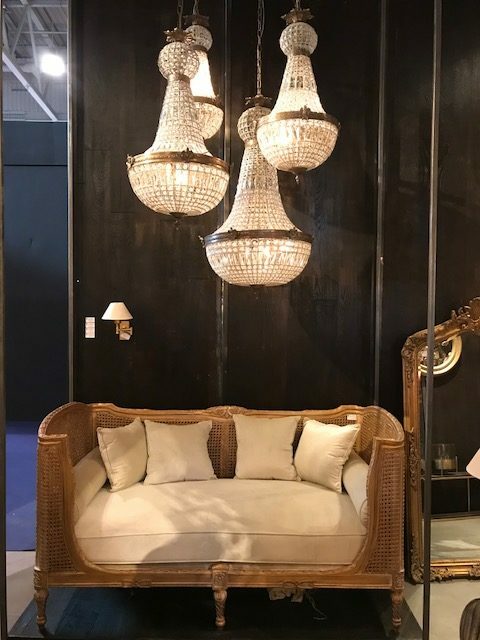 Exposed metal box frames in Black or Gold made an impression as well as metal strapping details and metal tapered legs. Also of note was a profusion of bunching tables used as cocktail tables. We saw a number of different shapes: 3 large pentagons, 6 large metal leaf-shaped tables, and 5 round glass top tables to name a few. Most notably, many of these bunching tables were designed to be multi-level and to be used in large groups! Forget 4 bunching tables….try 5 or 6 or 10. 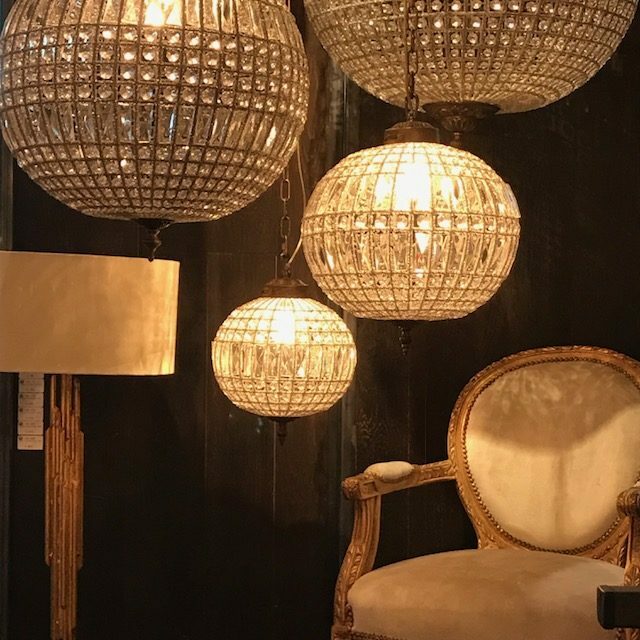 Lighting: Crystal accents, globe shapes, and drum shades continued to be seen in overhead lighting. 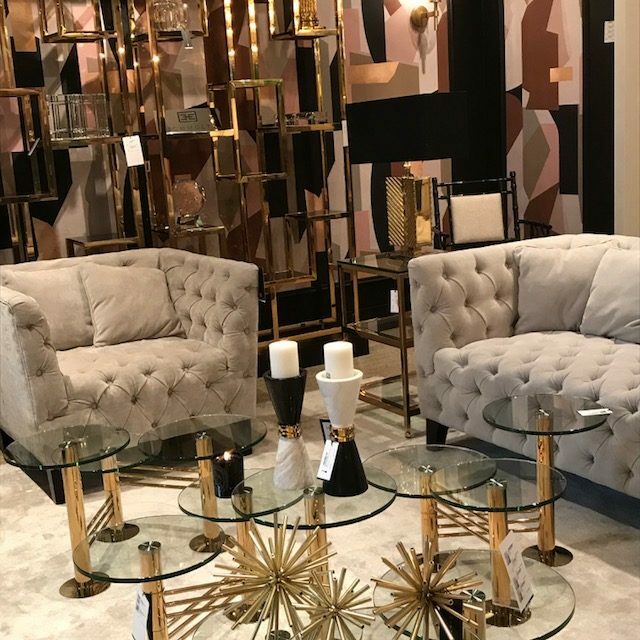 Fabrics were primarily devoid of pattern at Maison & Objet 2018, instead they used bold colors and textures to add interest. 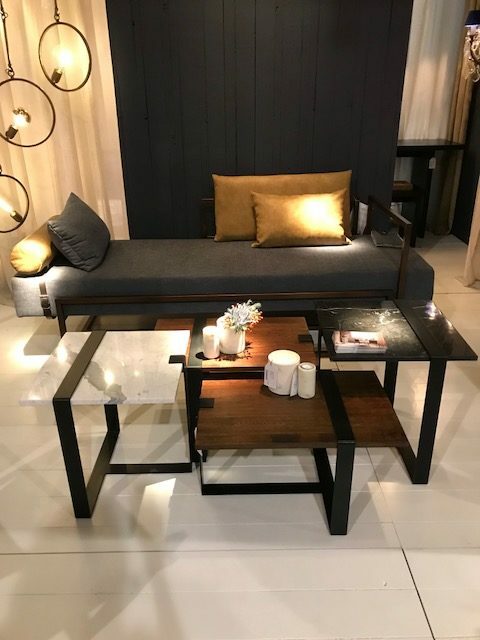 Black lacquered wood made a strong statement and warm Gold and Black metal finishes are expected to keep popping up throughout 2019.